In May of 1832, a small number of members of the Lick Creek Baptist Church of Indianapolis were amicably dismissed to become the nucleus of “The Regular Baptist Church of Christ at Little Buck Creek, Marion County, Indiana” known now as Southport Baptist Church. The new church was organized in the home of Jeremiah Featherston, who became it's first pastor. 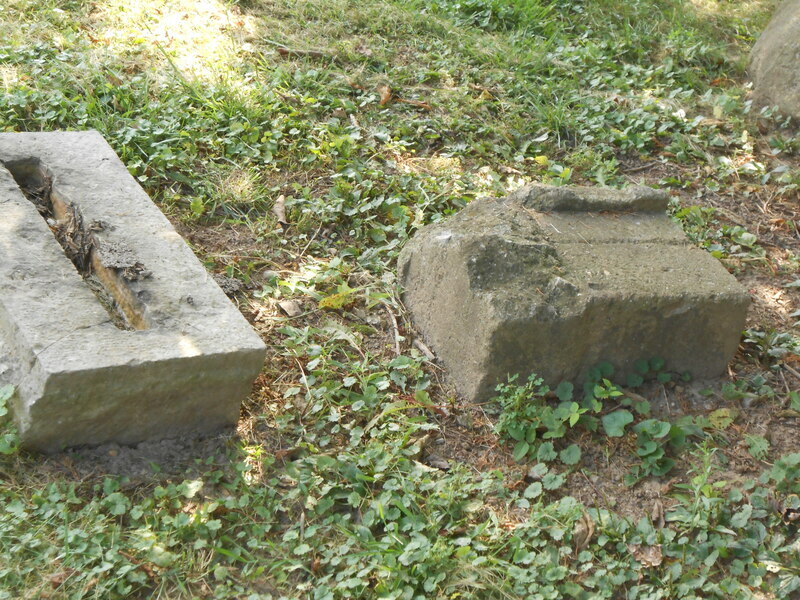 In Indiana, pioneer cemeteries cannot be desecrated but, over time, they can become obscure and even forgotten. The founder of the church left a will (175+ years ago) leaving half an acre of land to the church for a cemetery. In the church’s investigation they found it was the abandoned Boxwood Cemetery, currently under the care of the Perry Township Trustee. 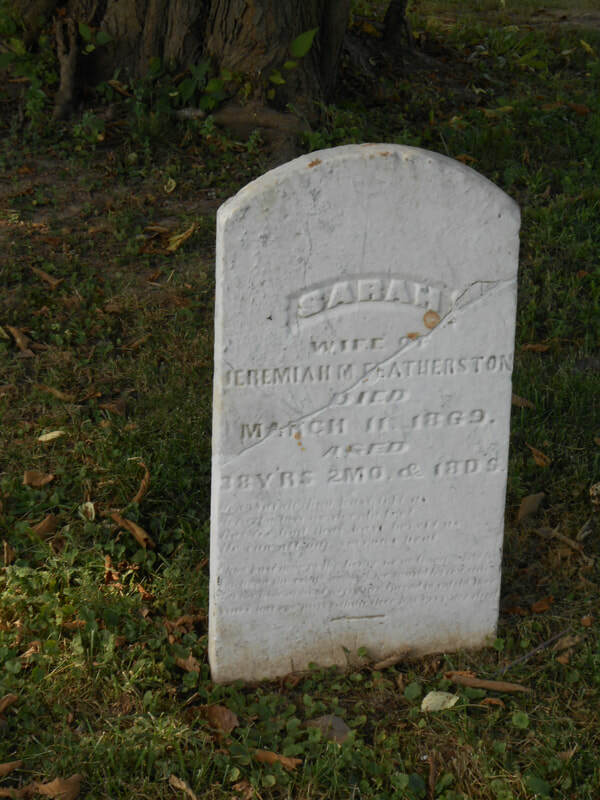 There is only one legible stone in this Cemetery and it belongs to Sarah Featherston, Jeremiah Featherston’s wife. There are also four or five other stones (bottoms only) which have no detail. Cedric Fowler, Trustee at the Southport Baptist Church, and a group of dedicated individuals have over the years endeavored to preserve this vital piece of proud history. However, as the cemetery became part of a new housing community, it suffered headstone removal and became a place where children played thinking it was just an open field. 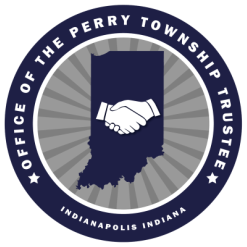 In December 2010 the fence was installed by the Perry Township Trustee. There are now two Cemetery Heritage signs installed on the property. a. One for Featherston Cemetery, established 1838 was installed in 2012 by the Indiana Historical Bureau and Southport Baptist Church-Memorial & Endowment Committee. b. 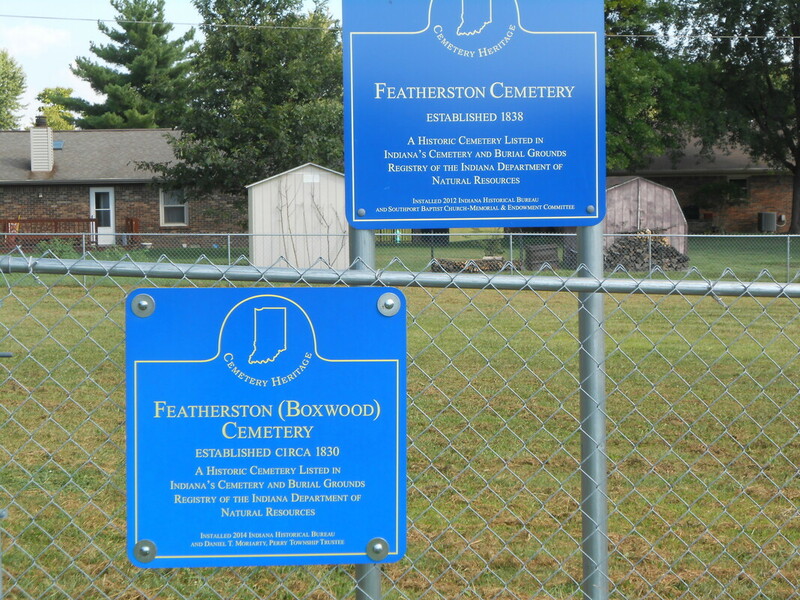 The second sign for Featherston (Boxwood) Cemetery, established circa 1830 was installed in 2014 by the Indiana Historical Bureau and Daniel T. Moriarty, Perry Township Trustee. 3 - Over time restore the headstones and proper historical perspective to this site.